In Helsinki I fell in love with a new bunch of characters. 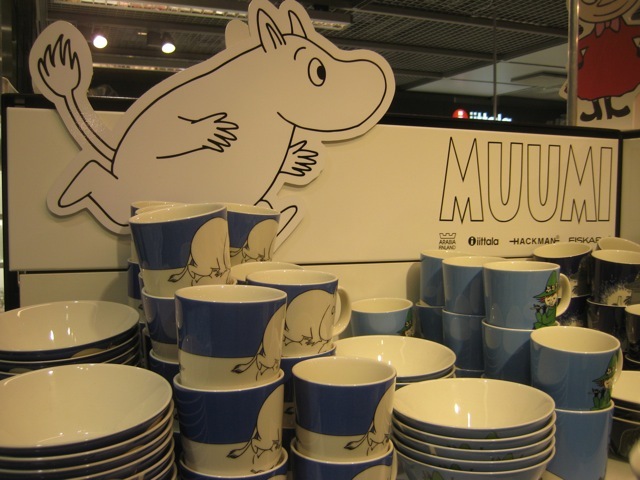 The Moomin, spelt as Muumi in Finnish I guess, which I saw everywhere in both Helsinki it’s place of origin and Stockholm. Moomin is a cartoon that was written way back in 1945 and the main characters sort of resemble hippos, although they are actually trolls. I found that trolls are a big feature in both Sweden and Finland. Tove Jansson was a Swedish Finnish author of the Moomin books. She was born in Helsinki and her family was part of the 6% Swedish minority in Finland. Her motivation was to escape the depression of war into innocence. 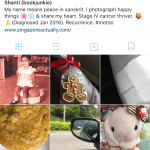 Interestingly she was born on 9 August (Singapore’s National Day), but way back in 1914, and I find myself wanting to learn all about her and her books. 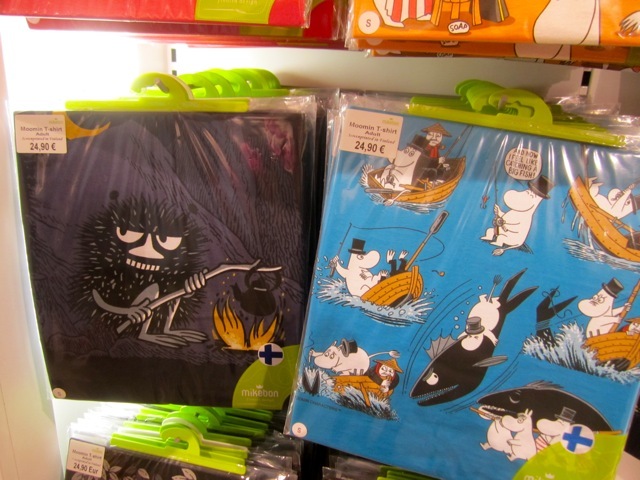 Seems a wonder that I have never heard of Moomin till now. The characters are charming and it seems that the Japanese are especially big fans. I see some similarities in the drawings found in Hal’s moving castle. I am not a big fan of cartoons and prefer watching real people on the big screen, but I do love Japanese style animation. Now I know where one of their sources of inspiration comes from. This entry was posted in Travel and tagged Animation, artist, cartoon, charming, cute, Finland, Finnish, Helsinki, illustrator, Moomin, Swedish, Tove Jansson, toys, travel, troll. Bookmark the permalink. 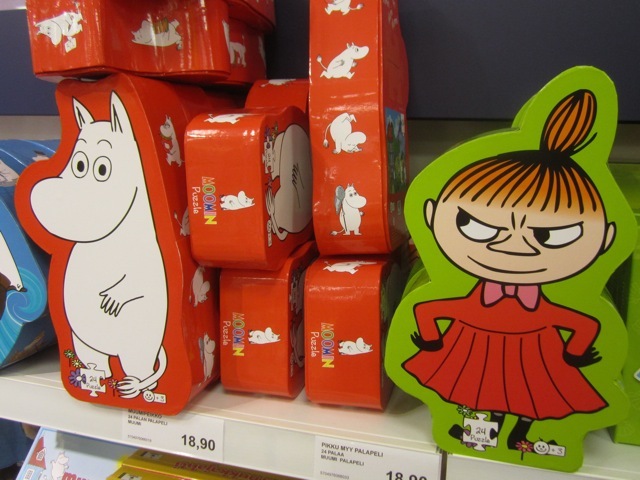 I loved Moomin as a kid – they used to show it on TV in the UK. I loved all the characters and the stories. Looks like you had an amazing time out there. I feel like I miss out on a Moomin childhood. I want to find out all about these sweet characters 🙂 Thanks, yeah the trip was very good. I just saw some Moonmin notebooks calenders etc at Kinokuniya at Takashimaya Stationary section….I was so thrilled. Yes I truly feel so lucky. 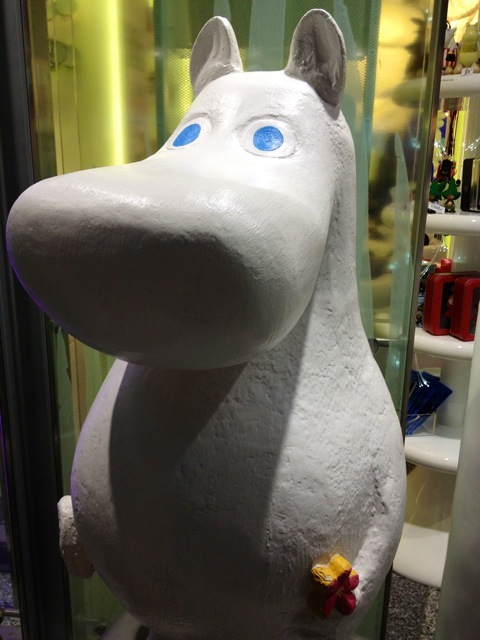 Didn’t know about Moomin before the trip. They are so magical and I am so glad I was introduced to their charming world.